Fire Safety Rocks: We Did It, Thanks to You! Today we held a fundraiser on Facebook. Thanks to Regina, Bo, Daisy, Erika, Beverley, Nan and Jena for helping us reach our $100 goal today! The donations will help us obtain a program that will help enhance our fire safety videos, and we are so excited!! Thank you everyone from the bottom of my heart! 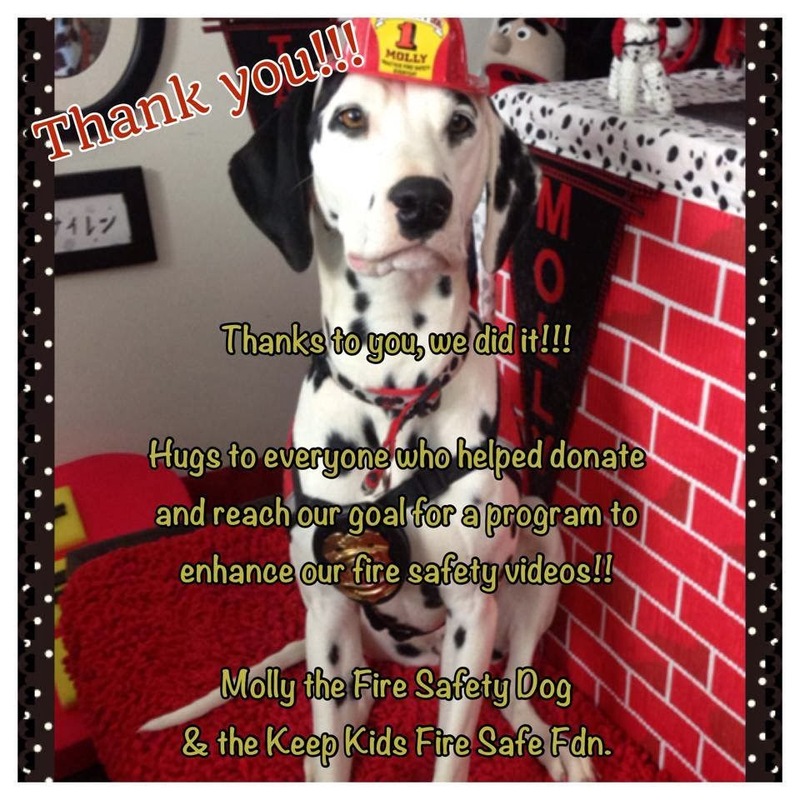 You guys really came through for the Keep Kids Fire Safe Foundation and for the Fire Safety Dogs and me!